Along with turbo lag, the other major complaint about turbocharged engines is their lack of emotional sound. A naturally aspirated or supercharged engine is what enthusiasts prefer. Ford is trying very hard to prove this wrong with its EcoBoost engine lineup, as evidenced by the optional 2.3-liter unit in the new 2015 Mustang. With more power and better fuel economy than the base V6 for not much extra money, buyers may think they’re getting the best of both worlds. But for those who really care about how their Mustang sounds, you ought to pay attention to this. Road & Track was doing a recent test drive of the Mustang EcoBoost when a fuse blew, causing the stereo and engine to suddenly go silent. Yes, the engine. Autoblog investigated this further and reached out to Ford for comment. That’s when Ford admitted that yes, the Mustang EcoBoost comes with a system called Active Noise Control. 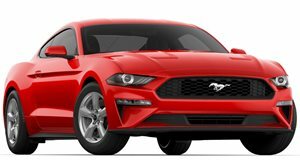 A Ford engineer said that the system is "partially responsible for tuning and shaping the EcoBoost’s note in the Mustang, (and that) the setup serves two distinct functions." It cancels out some of the coarse noise and also allows Ford to enhance things by "layering in certain sound characteristics on top of what’s already there." The engine processor basically monitors torque output and changes things accordingly. And no, it doesn’t appear that Active Noise Control is needed for V6 and V8 Mustangs. After all, there’s just no replacement for displacement.